Bharathiar University Recruitment 2019: Bharathiar University, Coimbatore / www.b-u.ac.in is conducting recruitment processes to fill 3 vacancies. As of now, there are three recruitment drives going on for JRF Post - Department of Biotechnology, JRF Post and others. Bharathiar University Recruitment 2019 - Job notification for JRF Post - Department of Biotechnology on a project entitled "Identification, validation, analysis and characterization of molecular activators and antioxidant response elements of Keap 1/Nrf2/ARE signaling pathway in zebra fish" in Department of Biotechnology, Bharathiar University, Coimbatore, Tamil Nadu on Temporary on Co-terminus Basis. Applications are invited by Bharathiar University, Coimbatore on or before 29 Apr 2019 for 1 vacancy. Bharathiar University Recruitment 2019 - Job notification for JRF Post on a project entitled "Plant cell culture strategies for the enhanced production of Sennoside from Tinneyvelly senna (Senna alexandrina Mill.) and assessing its Pharmacological activity" in Department of Biotechnology, Bharathiar University, Coimbatore, Tamil Nadu. Applications are invited by Bharathiar University, Coimbatore on or before 23 Apr 2019 for 1 vacancy. Bharathiar University Recruitment 2019 - Job notification for Project Assistant Post on a project entitled " Screening and Create the Registry of Disease pattern in TribalCommunities and provide the Health Care Strategies, Genetic Counseling and create the awareness to tribal women population in Tamil Nadu, India" in Department of Human Genetics and Molecular Biology, Bharathiar University, Coimbatore, Tamil Nadu. Applications are invited by Bharathiar University, Coimbatore on or before 26 Apr 2019 for 1 vacancy. 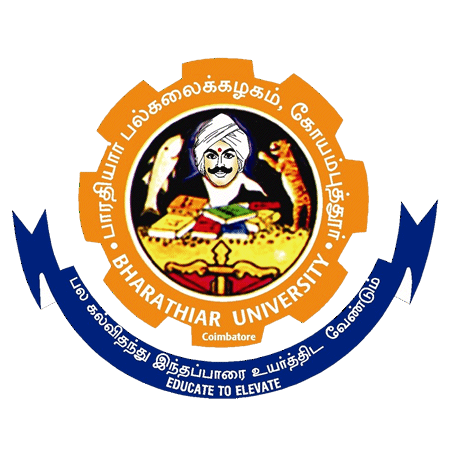 Bharathiar University Recruitment 2019 - Job notification for Project Coordinator, RO & RA Posts on a project entitled “Women’s Contribution to Farm Based Economy and their Access to Land Rights -A Study in Tamil Nadu” in Bharathiar University, Tamil Nadu. Applications are invited by Bharathiar University, Coimbatore on or before 02 Apr 2019 and Interview to be held on 05 Apr 2019 for 3 vacancies. Bharathiar University Recruitment 2019 - Job notification for Project Fellow Post on a project entitled "20 WS2 nanostructure sandwitched with hetero-atom (N,B) doped graphene layers for sensing interdisciplinary targcts " in Bharathiar University, Kalpakkam, Tamil Nadu. Applications are invited by Bharathiar University, Coimbatore on or before 11 Mar 2019 for 1 vacancy. Bharathiar University Recruitment 2019 - Walk in for Project Fellow Post on a project entitled “Development of Next Generation Nano-Biotechnology for “Multimodal Synergistic Targeted Cancer Therapy” of Biocompatible Nanoparticles” in Bharathiar University, Coimbatore, Tamil Nadu on Contract Basis. Candidates are invited by Bharathiar University, Coimbatore to attend walk-in-interview to be held on 28 Feb 2019 at 11:00 AM for 1 vacancy. Bharathiar University Recruitment 2019 - Walk in for Research Assistant Post on a project entitled “Development and Evaluation of New Generation Sol-Gel derived Nanoscale Bioactive Materials” in Bharathiar University, Coimbatore, Tamil Nadu. Candidates are invited by Bharathiar University, Coimbatore to attend walk-in-interview to be held on 30 Jan 2019 11:00 AM for 1 vacancy. Bharathiar University Recruitment 2019 - Job notification for JRF Post on a project entitled "Studies on the Efficacy of Neferine against Doxorubicin-Induced. Cardiomyopathy" in Department of Biotechnology, Bharathiar University, Coimbatore, Tamil Nadu. Applications are invited by Bharathiar University, Coimbatore on or before 06 Feb 2019 for 1 vacancy. Bharathiar University Recruitment 2019 - Job notification for Junior Research Fellow Post on a project entitled A System for Sensing and Controlling the Stress Level of Computer Users using IoT in Department of Computer Science, Bharathiar University, Coimbatore, Tamil Nadu. Applications are invited by Bharathiar University, Coimbatore on or before 31 Jan 2019 for 1 vacancy. Bharathiar University Recruitment 2018 - Walk in for Project Assistant Post on a project entitled "Allele mining for development of rice with slow and sustained energy release (BIRAC-BIPP Project)" in Bharathiar University, Coimbatore, Tamil Nadu. Candidates are invited by Bharathiar University, Coimbatore to attend walk-in-interview to be held on 07 Jan 2019 at 10 am – 11.30 am for 1 vacancy.